You just might have an ancestor who was recorded on the very first United States Federal Census done. It was made a Federal government law that the first census began more than a year after the inauguration of President George Washington and shortly before the second session of the first Congress ended. The law was signed March 1, 1790. 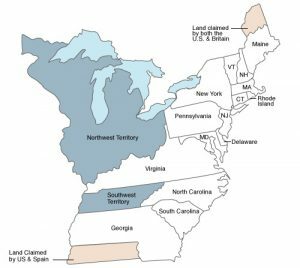 Congress assigned responsibility for the 1790 census to the marshals of the U.S. judicial districts under an act which, with minor modifications and extensions, remained the same through 1840. The United States was the first country to call for a regularly held census. The law required that every household be visited, that all completed census schedules be posted in two of the most public places within each jurisdiction, there to remain for the inspection of all concerned. That information was also to be given to the US President. The original census information must have been difficult to decide what would be included. 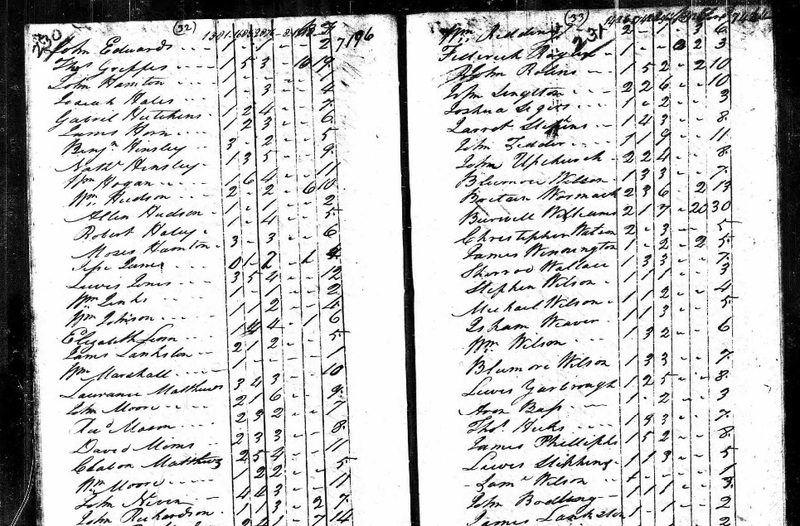 The 1790 census contained: the full name of the head of the family and the number of persons in each household (note just numbers not names of family members). The divisions for the numbers were the following: Free White males of 16 years and upward (this was to know the country’s industrial and military potential); Free White males under 16 years; Free White females (it didn’t matter the age); all other Free people in household and the number of Slaves. All original 13 States, plus the districts of Kentucky, Maine, and Vermont, and the Southwest Territory (Tennessee) were included in this 1790 census. The state of Vermont did not enter until 1791 so was not counted until 1791. 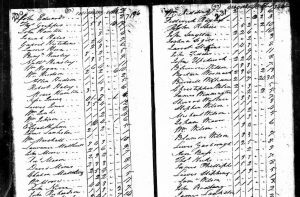 The official census-taking began on Monday, August 2, 1790, so if you had an ancestor born December 1, 1790, they would not be counted. An interesting note, the 1790 census reflected the times, including spelling and use of certain words, those of which are obsolete or unknown today. After completion, it was printed in Philadelphia, PA by October 1791. The state with the most population was Virginia with 747,610. The smallest state in population was Delaware with 59,094. Total population for all locations was 3,929,214. 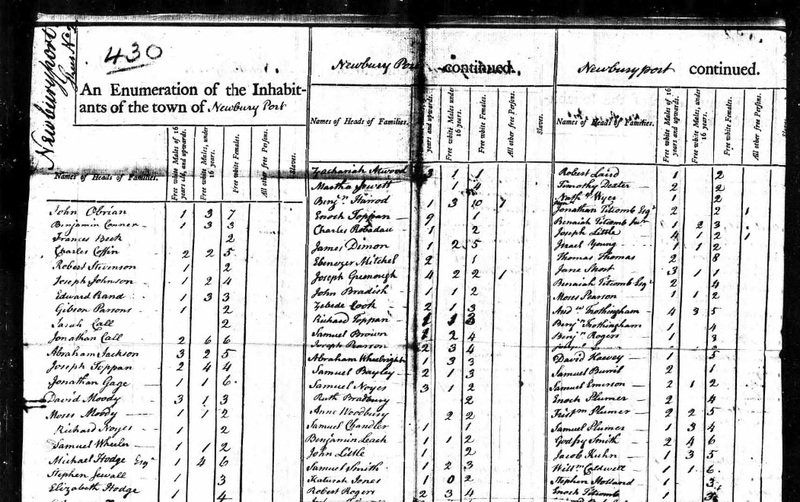 Using FamilySearch.org, you can search the 1790 census. Remember surnames could have been spelled quite different in 1790 than in later years. Also over the years, the actual listing of the head of household and the numbers in the house for the states of Delaware, Georgia, Kentucky, New Jersey, Tennessee, and Virginia are not available. This is also true for use of Ancestry.com online 1790 census search. 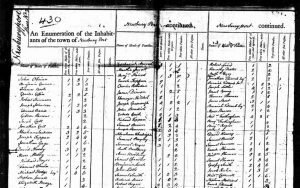 If you do locate a 1790 census record for any ancestor, take the time look over the names of neighboring household, just might be another relative nearby. The next US Federal census is set for April 1, 2020, in just 15 months. Photos: Map of states and territories in 1790; census with four columns for Newbury Port, MA and census with two columns for Chatham, NC.